We do not frequent SM Sta. Mesa although it is near our place. We only get to go there when my children have a play to watch like earlier today when Juan watched Popepular, a play about the life of Pope Francis. Juan and I left home without having breakfast and lunch so we've decided to check out restaurants., and we both agreed to dine at Pizza Hut. 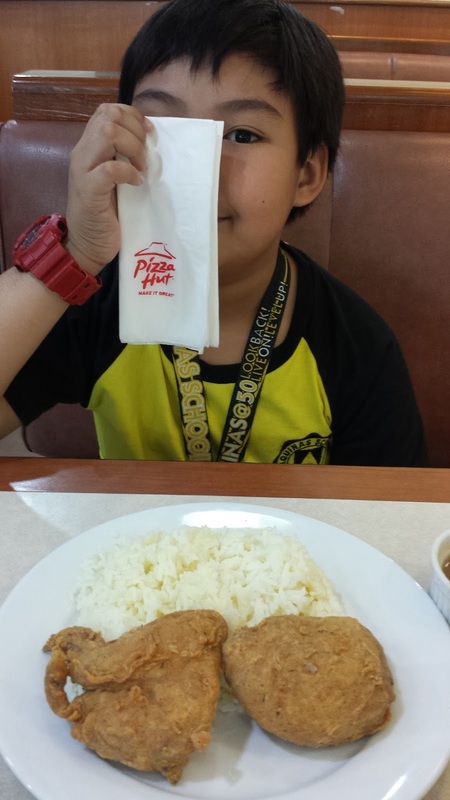 All of Pizza Hut menu is common to us but it was our first time to dine in at Pizza Hut SM Sta. Mesa. 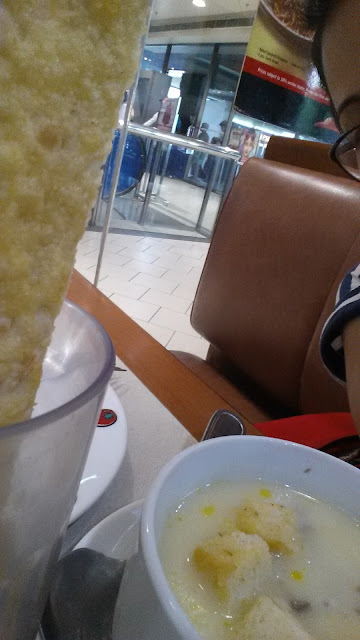 There's nothing spectacular about the food, we're used to Pizza Hut's pizza, pasta, chicken, soup and salad. What matters most for me is the service. Juan and I were greeted cheerfully and seated by Eilyn. When I am hungry, I cannot fully decided what to eat. I changed my order thrice. Eilyn was accommodating enough to void my first two orders without a hint of irritation on her face. 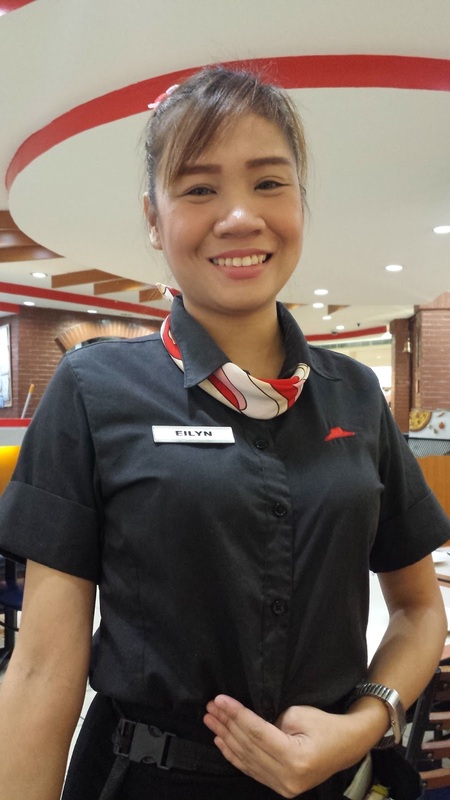 Pizza Hut, hire more employees like Eilyn Enrique! Food tastes better when served with a genuine smile.